A wardrobe needn’t be just a piece of furniture that sits in the corner of your bedroom! Bespoke wardrobes can be so much more than storage – they can help to organise your clothes and accessories, save floor space in your bedroom, coordinate with other furniture and colour schemes, increase the worth of your house, and add a beautiful design statement to any room. Bespoke wardrobes are always a better choice than a standard or pre-made model as they are specifically created to fit a particular space in your bedroom, making perfect use of the storage area available and integrating seamlessly with the rest of your decor. There are a wealth of design options available, too, enabling you to match colour, style and material with the rest of your furniture and interior design. Or perhaps you will be so inspired by your wardrobes that you will decide to design the rest of the room around them! Internally, bespoke fitted wardrobes also provide a far more effective option for storage, organisation and arrangement of your clothing, shoes, and accessories. Having a tidy and well-organised wardrobe not only allows you to store more in the space available, but also saves you valuable time and effort in selecting your outfit or putting away laundry. Wardrobes are not limited to the bedroom, either – why not create a walk-in wardrobe or dressing room, or add extra storage to a hallway? Use Concept Virtual Design’s architectural and setting out service to help create your perfect bespoke luxury wardrobe design. 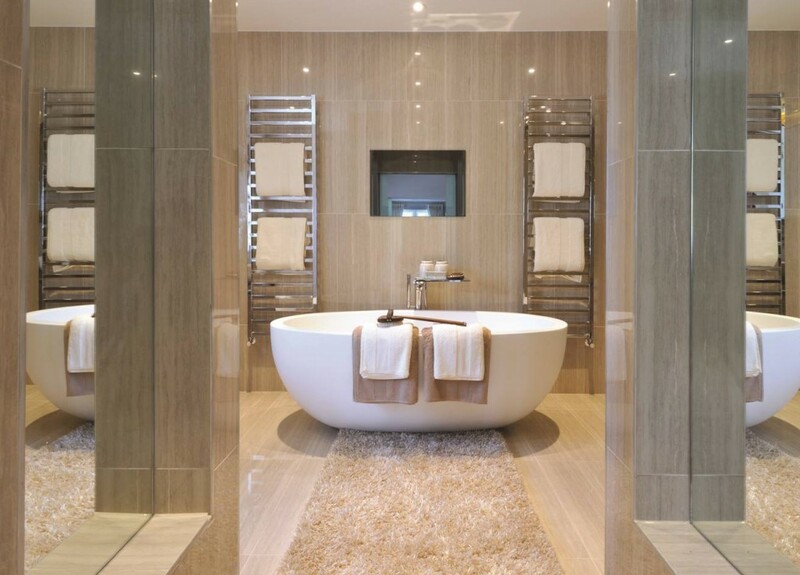 When you’re planning a luxury bathroom it’s important to make the best use of the space available to maximise natural light and bring functionality and a special aesthetic quality to your bathroom. Sometimes it’s worth thinking outside the box in terms of traditional bathroom layout so that you can create a unique and easy-to-use room that suits your requirements, or those of your client, exactly. Too often bathrooms are relegated to small and awkward areas of the house, despite the bathroom being a room we spend plenty of time in every day. But perhaps we’d spend more time luxuriating and relaxing in our bathrooms if they were better thought-out and more of a joy to be in! 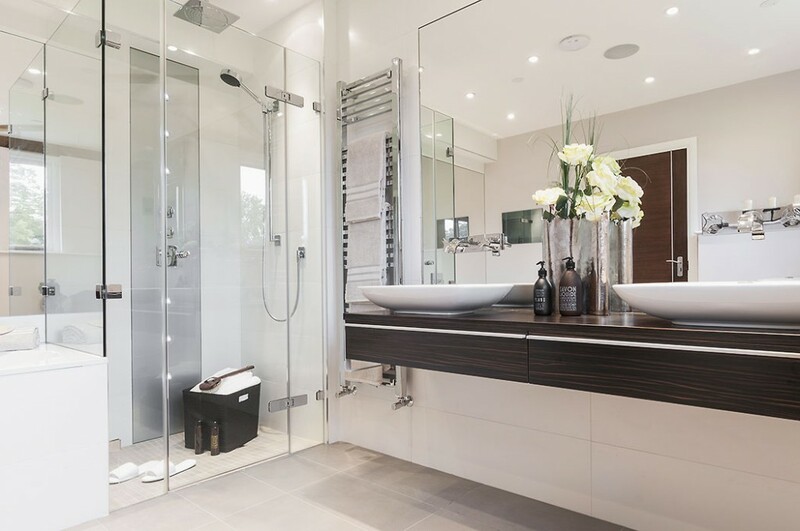 When it comes to remodelling your bathroom or designing a new build, you have the chance to change your bathroom design to create a totally new space. This is where Concept Virtual Design’s passion for design comes in – every time we help a client to plan a bathroom we ensure that the best possible configuration is chosen for the space available. Choose from a stunning array of designer and luxury fixtures and fittings to make your shower room, wet room or bathroom a pleasure to spend time in. Using reflective or transparent surfaces to allow as much light as possible to fill the room. 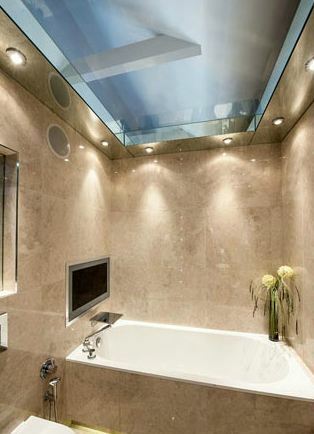 Installing a skylight or sun tubes to a windowless room. Incorporating bespoke storage into an odd-shaped room. Placing the bath under sloped walls to maximise on space. Adding a shower over a bath if you don’t have room for a separate shower. Adding integrated and free-floating fixtures to give the illusion of more floor space. Choosing tiles that help to give the appearance of a wider room or taller ceiling. At Concept Virtual Design we work with you from the very first stages of your design and planning, and with our 3D virtual setting out service, you can be assured of finding the ideal luxury bathroom solution for your space. Concept Virtual Design are able to offer the best “contract deals”, to clients looking to use our 3D virtual design service, for multiple rooms or multiple plot developments. Our exclusive interior design services include a reliable, detailed and high quality setting out service that helps luxury house builders, professional refurbishment contractors and developers, to create accurate plans and designs right from the architectural stage. We work on individual properties and multi-plot projects with a variety of clients in Buckinghamshire, Berkshire, Surrey and London, as well as with international clients, in Asia and the Middle East. Though we are renowned for our luxury bathroom design and attention to detail, we also offer wide range of other unique interior design options, including bespoke wardrobes, furniture and studies . Our all-encompassing design service allows you to tie all the elements of your development together seamlessly, providing continuity and a high aesthetic quality throughout. For clients looking to use our virtual interior design service, we are able to offer great contract deal . Give us a call to find out more, or for references and examples of our previous work, on our latest projects . Are you a developer planning a new build in Buckinghamshire, Surrey or Berkshire? Concept Virtual Design offers a range of virtual design services for luxury new builds, including bathrooms, wet rooms, studies, and bedrooms. Working with developers at an architectural stage means that we can help you to work through design decisions from the very beginning, avoiding costly errors, adjustments and issues, and providing each trade with detailed and exact 3D plans to work from. Working primarily in Berkshire, Buckingham and Surrey, we have great relationships with many different architectural services, refurbishment specialists, luxury house builders and development contractors, and a vast experience in creating luxurious and exclusive interior design. Our free 3D design and setting out service allows you to choose from a range of quality sanitary ware, brass ware, tiles, and furniture, and create the ideal configuration, including the positioning of doorways and lighting, and placement of pipework and fixtures. 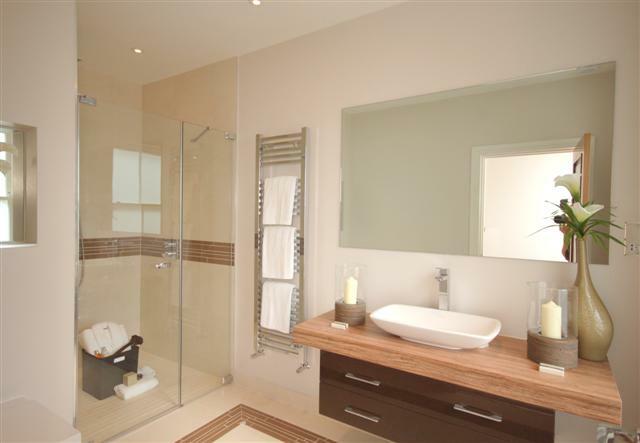 Concept Virtual Design are able to supply luxury bathroom, bedroom and interior design products at contract rates to individual clients, developers, contractors and companies. Please do not hesitate to make contact with Concept, if you are planning a luxury new build in Berkshire, Buckinghamshire or Surrey and let us help you design a beautiful interior. If you want to create a beautiful, seamless, luxury wet room shower, chances are you don’t want the inconvenience and unpleasant aesthetic of a traditional shower tray cluttering up your design. Floor-level showers allow the entire wet room to be tiled, including the floor, making your entire shower room look consistent and high-spec – even down to the drain. Fundo Riolito and Riofino tileable shower floor units allow your shower tray to sit at floor level, working perfectly with the rest of your wet room design to provide a reliable, practical and stunning finish. Having the option of a floor-level drainage system means that the design options for luxury wet rooms and bathrooms are greatly increased. Decide on your placement, size and tiling, and rely on the easy-to-install sealed Fundo Riolito drain, waterproof coating and ready-made slope to finish your shower room perfectly. With classic square and rectangular options, you can also choose from stainless steel, tile or natural stone covers for your floor-level shower element. 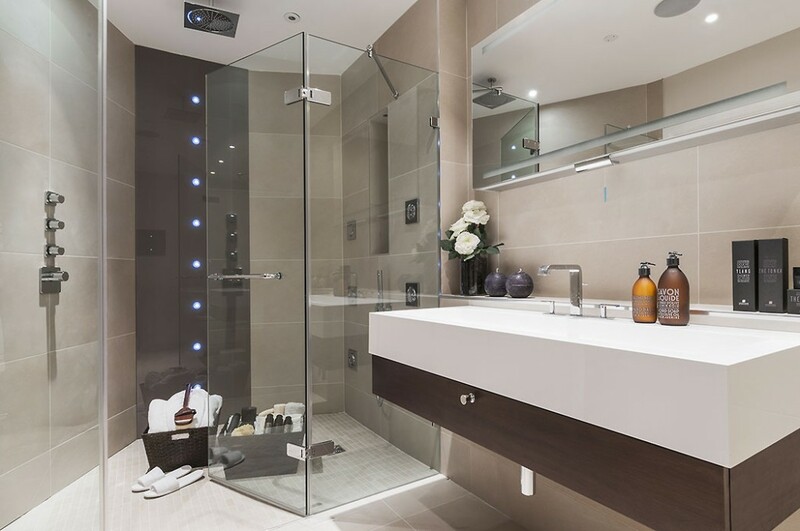 A wet room is an enormous asset to any home, development, or commercial property, combining ample luxurious showering space with efficient technology. Fundo Riolito and Fundo Riofino shower floor units are a great option for creating a seamless wet room. Get in touch with us at Concept Virtual Design for a virtual design service to help you visualise your ideal luxury wet room shower. Our architectural bathroom design service helps you to create the luxury bathroom of your dreams with none of the stress that usually comes with renovations or development. Designing a new build or refurbishment requires accuracy and consistency, as well as suppliers and contractors you can trust to ensure the finished product ends up exactly as you planned – preferably without any nasty (or expensive) surprises along the way. By using our architectural design service from the very beginning of your project, you will be provided with a free A3 colour virtual design presentation to help each trade involved, to see every last detail of the build. Being involved at an early stage, allows us to document each aspect of your design, such as placement of plumbing pipe work & wastes, tile calibration joints,lighting positions, doorway adjustments and full setting out on fixtures and fittings. We can also make this data available to you and your team via DWG format – a secure, multi-user, 3-dimensional design storage and sharing facility as well as full technical folders for site use. Bathroom design needs to be functional as well as aesthetically pleasing, and this often comes down to a delicate balance of placement and technical details – A luxury bathroom should be centered around both function and form, providing you with a serene, stylish space, that you will enjoy using for years to come. 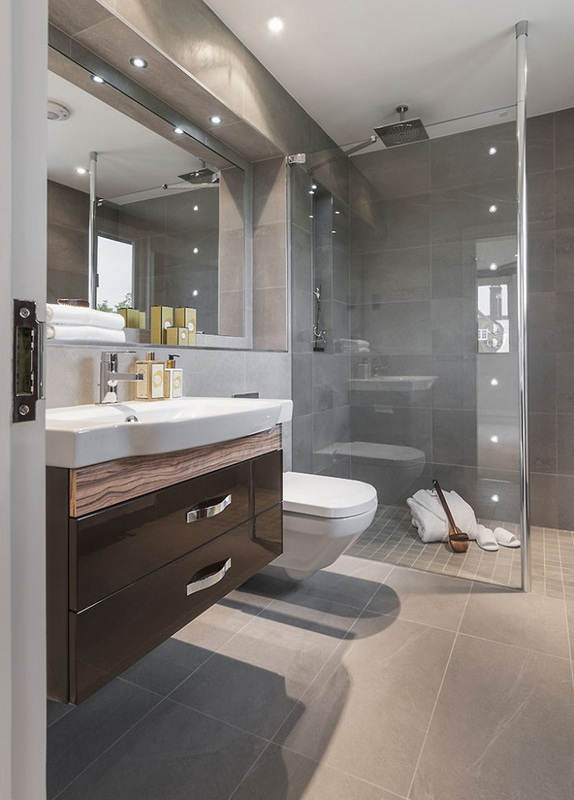 We understand how important it is to agree and set out the bathroom layouts at the design stage, removing the need for inconvenient alterations and costly changes later in the building stages. Not only does this keep your costs down, it shortens your schedule and ensures each person working on your project knows exactly what they’re doing at all times. We’ve worked with numerous clients in the Berkshire, Bucks and Surrey areas, from luxury house builders to refurbishment specialists, development contractors to individual clients. All looking for a top quality architectural, bathroom design service, from start to finish, with Concept’s detail and flair. At Concept Virtual Design we often work with developers and house builders right from the architectural stages in order to create luxury bathrooms and exclusive interior design that works seamlessly with the rest of the development. This means taking into account changes in construction plans, positioning of doorways and windows, and coordinating with not only the overall style of the build but also other fixtures and fittings, lighting, furniture and detailing. A huge advantage of this is being able to perfectly complement and enhance the entire house, from tiling to wardrobes to sanitary ware! Our 3D virtual design and setting out service not only assists clients, but also their architects, project managers and tradesmen – enabling everyone to envision the final design in fine detail, and avoid costly mistakes and errors along the way. Whether your style is contemporary, traditional, classic or quirky, our unique passion for luxury design can help you to create the perfect bathroom, wet room, bedroom or study, working alongside the rest of your house design every step of the way. For developers of new house builds, this approach can save time, money, and stress, incorporating every aspect of a new house to ensure everything works perfectly together. If you are a development contractor, refurbishment specialist, or luxury house builder in Berkshire, Buckinghamshire or Surrey looking for virtual design, inspiration and the highest quality products, then please call us on 01628 777122 to discuss your requirements. GROHE Allure Brilliant is a stunning new range of faucets, mixers and thermostats which will transform your luxury bathroom into a modern, sleek work of art. With GROHE’s years of experience behind the streamline design, the Allure Brilliant range provides a perfectly-cut, angular aesthetic, with advanced Grohe technologies to ensure your bathing experience is second to none. GROHE Allure Brilliant includes basin mixers, bath and shower thermostats and mixers, and bidet faucets, all created with crisp lines and beautiful precision. All these handcrafted products include GROHE’s Invisible Fastening System for seamless incorporation into your bathroom design. They are also endowed with GROHE’s top range of technologies, such as CoolTouch – to ensure all surfaces are safe to touch to avoid scalding, and TurboStat – allowing your shower to reach the desired temperature in a fraction of a second and adjust to changes in water pressure twice as fast as before. Choose GROHE Allure Brilliant for a contemporary, chic bathroom design.